My best friend’s favorite place to go is Hobby Lobby. So today we were in Tulsa, and had to stop by. She wanted to make earrings, so my interests were spiked. 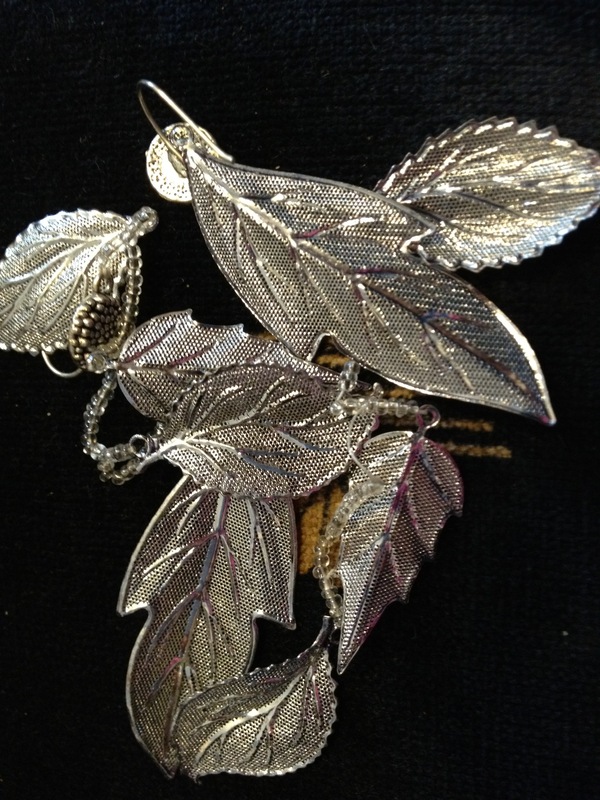 I had previously bought some silver leaves. 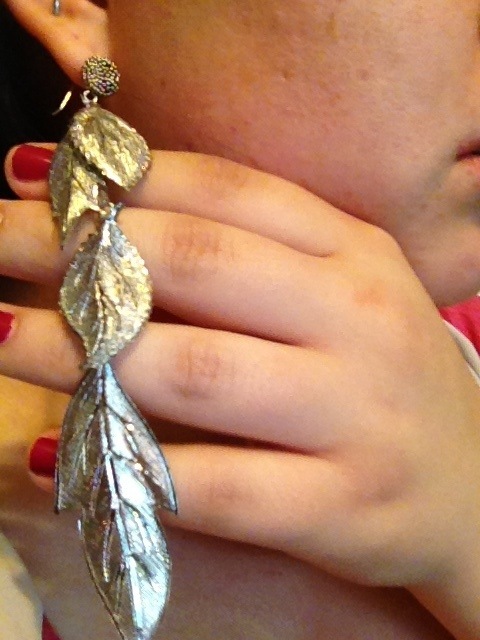 I originally tried to make some earrings with the leaves but a string broke and I never took time to fix it. 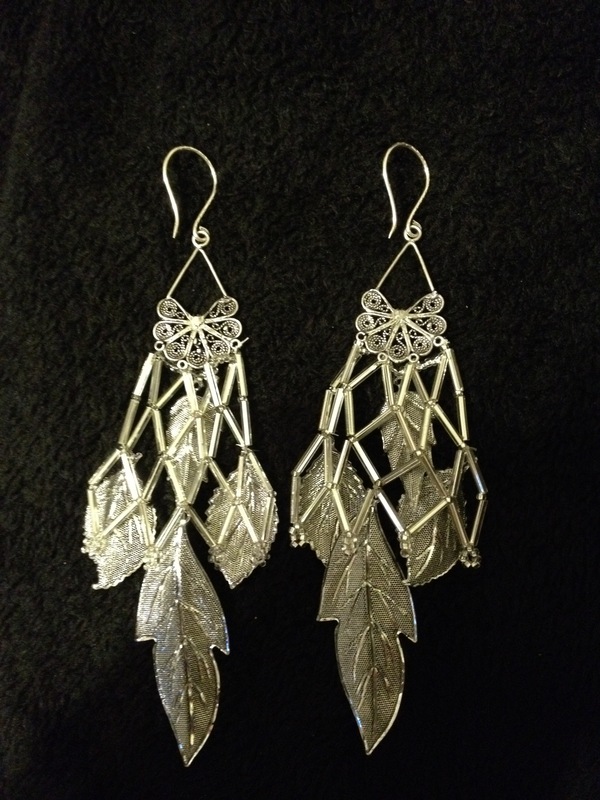 These are the original earrings. 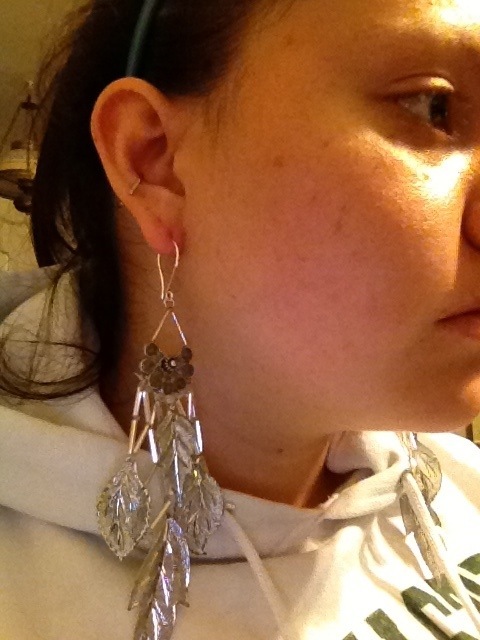 I bought some chandelier earring hooks at Hobby Lobby today and decided I wanted to take my leaf earrings in a different direction. The actual hooks are sterling silver and were 50% off so they were about $3.99. The chandelier base was also $3.99. So I got out my beads and started working on the design. I decided to go with a Choctaw design. The Choctaws wear a necklace with their regalia called a collar necklace. These necklaces are handmade and take numerous hours. It’s a lace type of design done with seed and cylinder beads. I have personally made one of these necklaces and it took FOREVER! But it was so amazing in the end! You make a base string of beads to make the design. 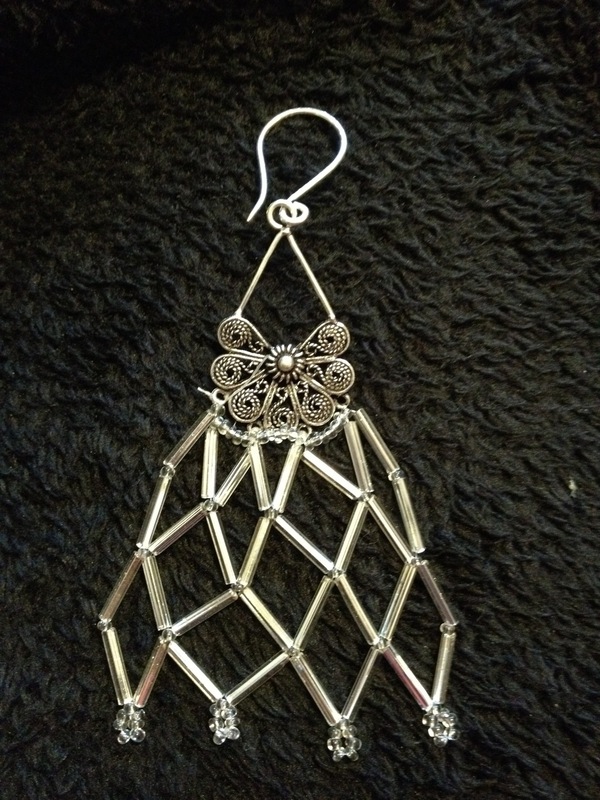 After, you start the diamond design with the cylinder beads. This process isn’t hard but time consuming. 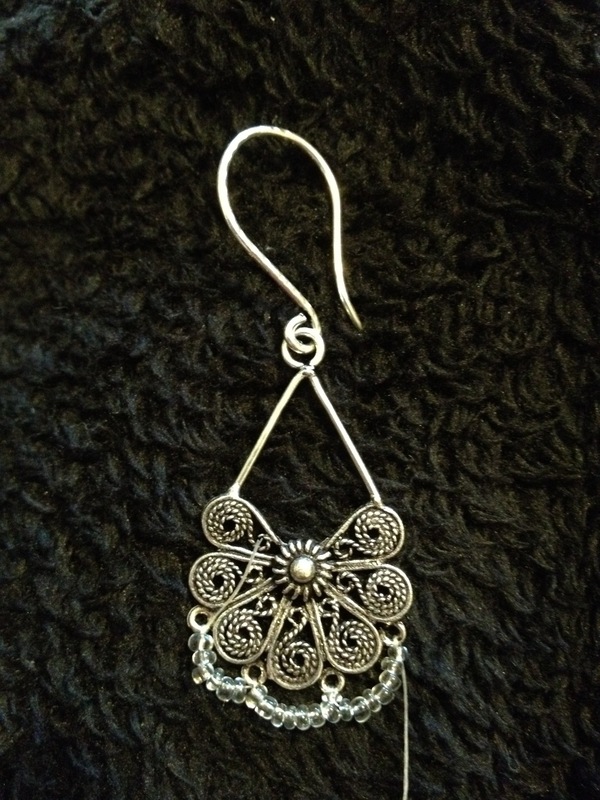 (and EXTREMELY frustrating if one of your cylinder beads cuts the string… And you have to start all over, yes this did happen to me) this is the finished beading part of the earring. The next step was to add the leaves into the netting. 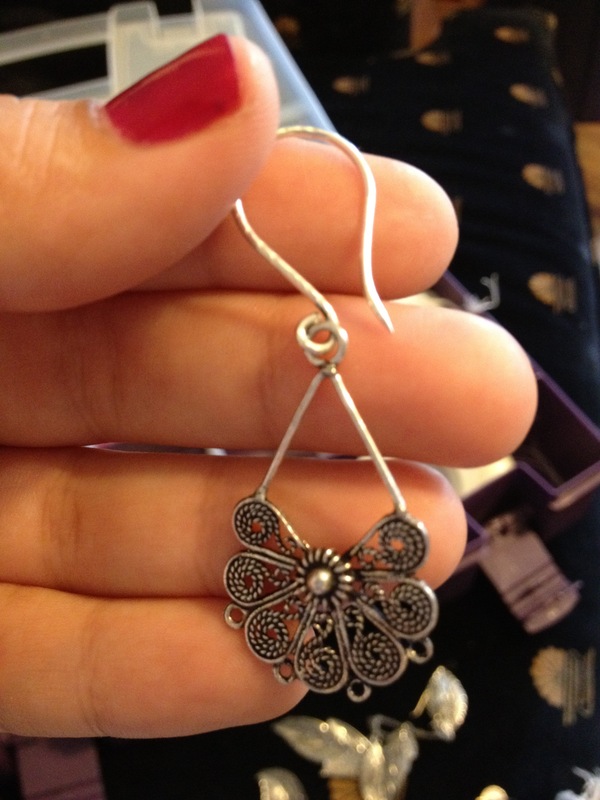 I love the way these earrings turned out! Now I just have to find the perfect outfit! 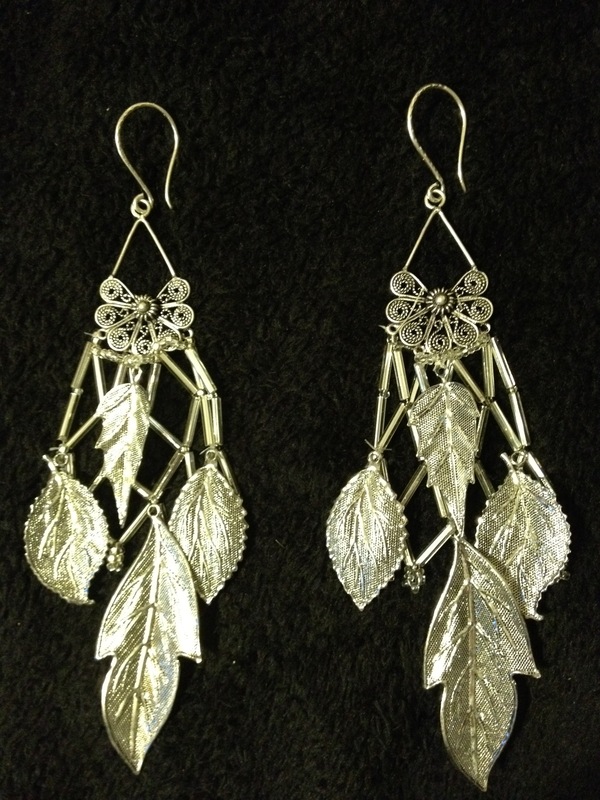 This entry was posted in girly stuff, Projects and tagged Beads, DIY, earrings, leaves. Bookmark the permalink. Girl….you be talented. Those are so pretty. I used to make earrings all the time!! 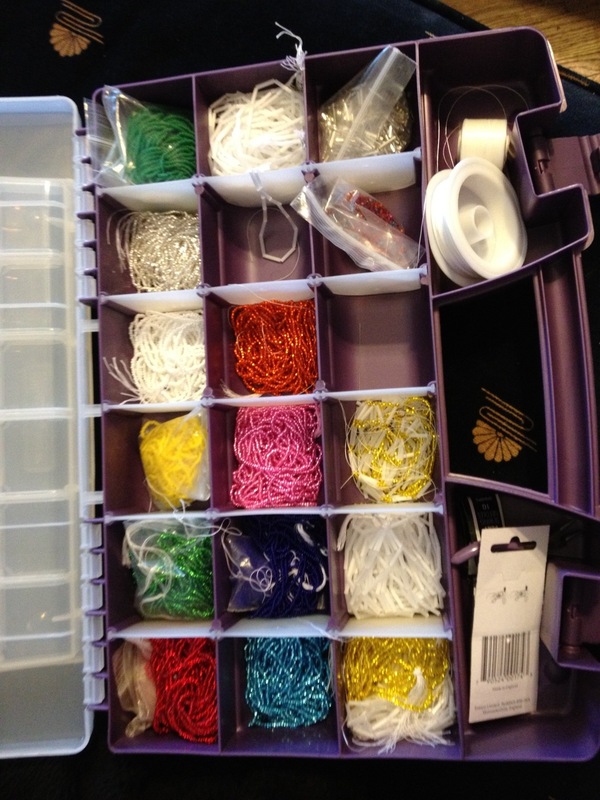 I got addicted to Hobby Lobby earring stuff a few years back….. had lots of beads and such. I never made anything even close to as awesome as that though. Love them.